Just how much love do you share with your loved ones? A few years ago, after a personal development event, I called one of my nephews, Dipak, who was 12 at the time. The idea was to call our loved ones and let them know that they were loved. That was a heart rending reply and just what I needed to hear to become more present to him and others around me. Talk about mindfulness training from a child! This is Day 20 of our “28 Day Relationships Adventure (DRA)” in February. You can read the previous 19 articles by following the links at the bottom of this post. Today I want to highlight the importance and urgency of appreciating your time with your loved ones. How often have we all missed someone when they are no longer around? In recent years, I have experienced the loss of my father and also my best friend. What can anyone learn from the death of a close one? Firstly, I am aware more than ever before, of just how short and fragile our lives are. One day your loved one is here and then they are just gone. I still remember my friend who passed away in tragic circumstances over three years ago and think of how much he helped me in my life. I am living in the same home that he helped me move into, and where he put up all the pictures and the giant mirror in the lounge. The home where he stayed and slept on the floor so often. I remember the many happy times when we visited Richoux together. It is such passing moments, short but now special, that one recalls when that person is no longer around. The biggest lesson is to appreciate each moment you share with a loved one. The other lesson is to make the most of the time and opportunities you have with your loved ones. Neither time lapsed nor these opportunities will ever come back. Life really is too short and you just don’t know what is around the corner. At the same time, have no regrets about missed opportunities, or words not shared with loved ones. At any time, you are always doing the best you can. Two days before he passed away, my friend even left me a voice message asking me to call him back. Instead of calling him back, I emailed him asking if we could speak after the weekend on the following Monday. Sadly he died on the Sunday, and we never got to speak. If I could turn the clock back, I would call him back right away and tell him how much he meant to me. So the lesson for you today is this – begin to truly appreciate the people in your life. They are all so precious – and indeed it is the people in our life that make your life so special. And the key is to tell them how much they mean to you. A few years ago, when working on some relationship healing work in my own life, I came across a wonderful tape called “Healing Relationships” by Bernie Siegel, well known medical doctor and author. In the tape he talks about how a daughter healed her relationship with her estranged mother. She telephoned her mother every day for three months and ended every call with probably the three most powerful words in the world – “I love you”. Then one day, something shifted. The daughter was in a hurry and ended her call without those three words. Right away the mother called the daughter back and reminded her that she had forgotten to say something. In that moment, the barriers came down, mother and daughter were reconciled, and the mother was finally able to put into words her own true feelings – “I love you too”. When you suffer the loss of a loved one, you come to realise just how futile your daily strivings can be and also how petty your grievances really are. It is not to say that you should not have any life goals nor allow others to simply push you around. But it is about getting a better perspective on what really matters in your life. Life is not something in the future – it is here today. And the best thing you can do today for your relationships is to share your love and create more special moments with your loved ones. Look at all the people in your life who are really close and important to you. Do they really know how much they mean to you? When was the last time you truly spoke to them and shared deep appreciation from your heart? In the next 3 days or sooner, I request you to have these heart to heart conversations with at least 3 people in your life. Then share below about your experience. How can you use these insights to improve your future friendships? Just yesterday I told an 85 year old aunt who is in the hospital that I loved her. It made me get choked up, but the thought of possibly never having the chance to say it again drove me to get past my emotions. I remember when my father was in the hospital each night when I left I told him I loved him. I’m so glad I did since it was the last thing I ever said to him. Angela, thank you so much for sharing your poignant story. And it’s so good of you to truly express your feelings to your aunt. You know you have probably made her day. Your father too will have left his world with your blessing and your love in his heart. Angela, you are a wonderful expression of what true love can do in the world. Heartfelt, poignant, and so true Arvind. We’ve all experienced a day when someone we love will no longer be there having left our life or this life. We may never know when such days come but we can be sure to share and express our love so if they do that our love was known and shown and that we have no regrets on not being honest about it. Don’t hold on to love; say it, show it, and live it in every breath and step you take especially to those who hearts yours lives in. As we get older, we will experience more and more losses of loved ones. So why wait till then to truly express our love?! I love what you added to your post. I think you’re right to say “I love you” may be the most powerful words on the planet! Dr. Bernie Siegel’s work was groundbreaking! 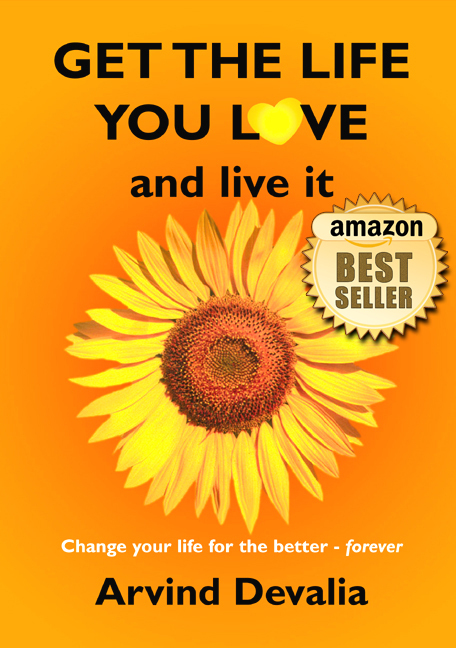 His book, “Love, Medicine and Miracles,” helped another aunt of mine deal with cancer. Angela, thank YOU for prompting me to add the bit about Dr Bernie Siegel. I still listen to his tape every few days and it’s a poignant reminder of what’s really important in our lives. Sorry to hear that you have experienced much loss in your life , but know that those losses have made you the person you are today. It has made you that much appreciative of your loved ones and made you even more aware of the transient and passing nature of our lives. Nothing should ever be left unsaid amongst loved ones. Last summer during a very busy week, I got a little inner nudge to go visit a friend with terminal cancer. I was so overwhelmed with deadlines I almost didn’t listen. But I did listen. I went and spent a lovely relaxed afternoon with him. A week later when my schedule was more relaxed, I called to visit him again. His son answered the phone and told me my friend had died. How glad I was that I had not missed that last visit with him! Galen, good on you for listening to your inner voice. So often people donlt do this and then it’s too late. At least you got to spend a precious few hours with your late friend. A few years ago I spoke to a dear friend on a Friday and she was insistent that I should visit her that same weekend. I cited my “busy-ness” and said I would visit soon. Sadly she passed away the following monday morning, just 3 days later. She knew she was ill and dying – and I had been oblivious all along about just how ill she was. Since then, I do visit close friends often – and at least call them frequently. 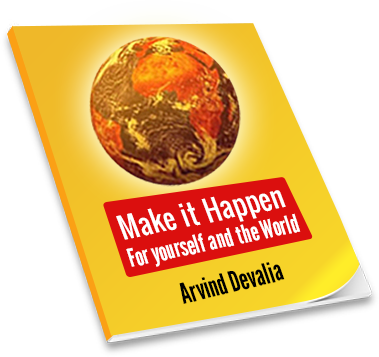 Indeed Arvind – savor every moment because life can change in the blink of an eye. I try to do one thing everyday: Say to the people closest to me, “I love you.” No matter what happens next in life, I want them to know this. Alex, having got to know you well from your blog, I imagine you to be very loving and expressive to all those around you. Simply wonderful. Last year when I was told I wouldn’t live past holiday, the one thing I knew was that my loved ones knew how appreciated and loved they were. I wouldn’t be who I am today without having shared love, and the one practice I do is tell my loved ones..friends..whomever has impacted my life that day..thank you for what you have shared and I love you. Along these lines, I am mindful of my words, to speak from my heart space only, because this moment is the one I have and I want what I share to enrich, not pain, those whom I interact with. As you point out, words are very powerful! To always speak from your heart space – what a wonderful place to live from! Very beautiful and moving post. One of my favorites that you have written. Thanks Wendy for your kind feedback. I really enjoyed writing this post – one of my favourites too. I am glad you are enjoying the series.